It’s so nice to be back in Amsterdam after spending a few days in Glasgow, Scotland. 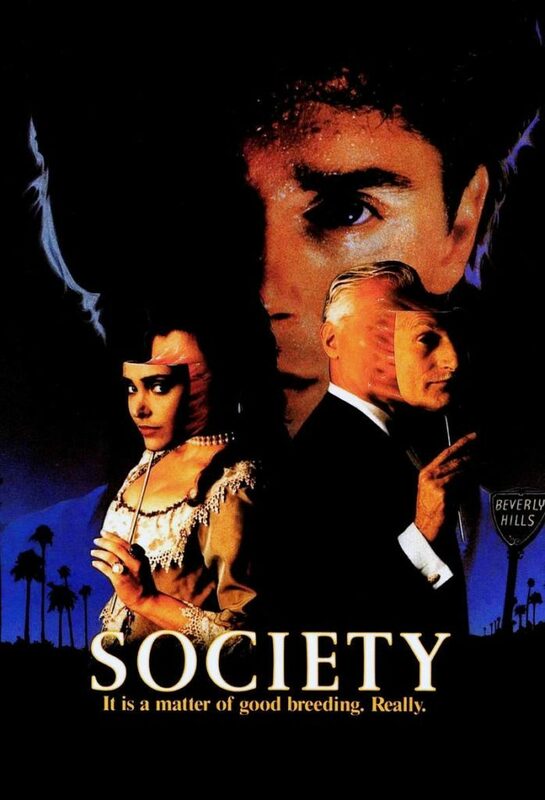 As most of you know, I was invited by the Burnt Church Film Club to make an appearance there for the film I did over 30 years ago called, “Society.” If you haven’t seen that film then you may not know what a following it has had for being one of the strangest movie ever made! Brian Yuzna, who wrote the film “Honey I Shrunk The Kids” and directed the critically acclaimed film, “Re-Animator” directed me in this film “Society” which has since become quite a cult classic around the world. This was my first time visiting Scotland and it fell on our wedding anniversary, so two great excuses to say yes to this offer. Ronn loves a colder climate and it was a nice change from the heat we have been experiencing in Italy this past month. Now that we are back in Amsterdam, its starting to really feel like fall and I love seeing that the leaves are starting to change into all their fall colors. Life is ever changing and personally I love seeing things change and morphing into other interesting things that hopefully helps us all grow as human beings. Traveling is quite an experience because we are constantly seeing the changes of different cultures, foods and accents and this is what I love most about traveling. So I must say that Scotland was quite a quirky, but interesting experience just for the sheer fact that they drive on the opposite side of the street, speak with a distinct accent and have a much colder climate than I’m use to. The people were really down to earth and friendly also. 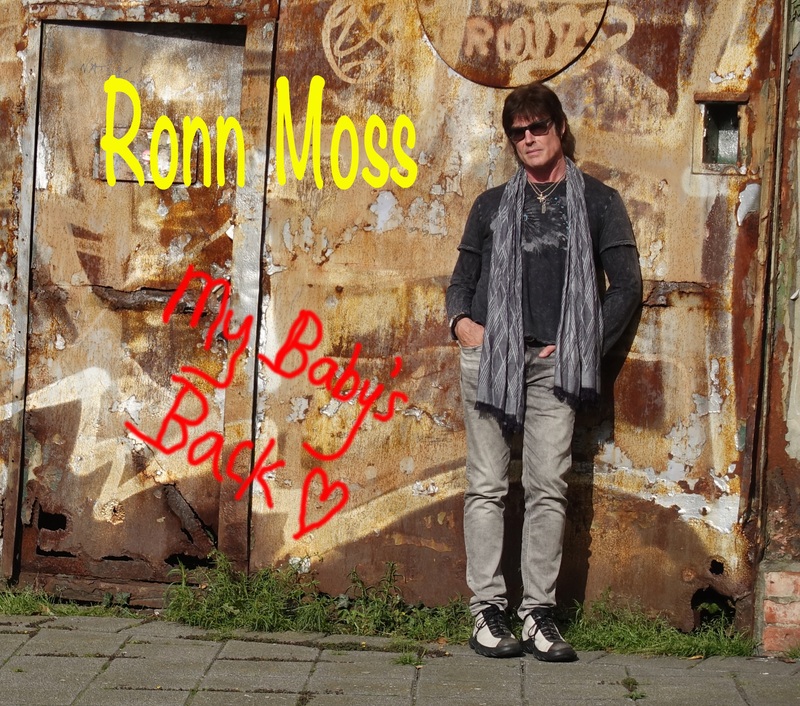 However, I’m more European at heart and look forward to the next couple months in Belgium and Italy where Ronn is doing many personal appearances and preparing for a much bigger music tour than we had planned. It’s been obvious that many fans miss seeing Ronn daily on television and for millions of fans he will always be their “Ridge.” So the requests for meet and greets have been getting overwhelming. Seems everyone now wants us to visit their country and meet Ronn and sometimes me and Prince. This is why we also said yes to an invite to make an appearance in Dortmund, Germany this Sunday, September 30th. More appearances are now scheduled for Belgium and Italy in between the rehearsals for Ronn’s music tour that will now take place next summer! 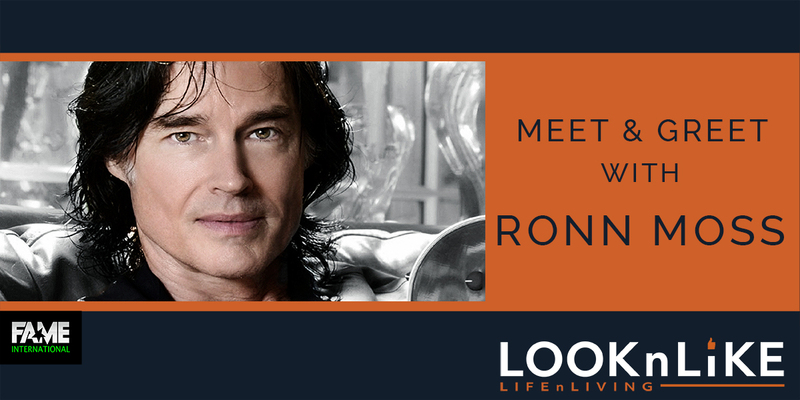 Ronn is directing and starring in a commercial campaign with LooknLike for Belgium that will include some exclusive meet and greet acoustic concerts in October and November. And Ronn’s new merchandise line will also launch his own cologne. You can find info out on all of this here. This first meet and greet concert will be on October 7 and others will follow in early November. Other changes include a much bigger preparation for the “My Baby’s Back” world tour with band rehearsals in Italy in mid October and November, along with press appearances, as this will be a big production to present the first Ronn Moss music tour for Europe! We are also excited to announce “Ronn’s Garage” is coming back finally! We are shooting a new version in Amsterdam with a very exciting guest to kick it off again! Life always brings us new and interesting things to share with you guys and we love sharing our lives with you, so I know you will love the new “Ronn’s Garage” concept that we are producing from Europe! Just as there are life’s changes, there are also challenges and some of those challenges involve things from our past. In Ronn’s case, it’s been his battle with Peter Beckett and Player, of which most of you know he has filed a lawsuit against for his infringement on the trademark name. Seems Peter Beckett has tried to steal the name of band for himself and Ronn had no choice but to file this lawsuit. I’m happy to announce we have prevailed in their attempt to dismiss our suit and a date has been set for the trial. No one, including the judge thinks of Peter Beckett alone as Player and I’m quite sure we will prevail in this dispute. It’s sad that egos and greed can ruin things once beautiful, but sometimes the universe gives you these curve balls for a good reason. These challenges become life lessons and enable growth and sometimes bigger and better things comes as a result. I believe this is true with Ronn as a musician because many of you have been asking for Ronn to sing more instead of just playing bass and doing “Baby Come Back,” as he’s been doing with Peter in concerts these past few years since leaving “The Bold and The Beautiful.” So many of you will get that wish now and see a lot more of just Ronn Moss singing all over the world! Other challenges have included the world’s view of Ronn as “Ridge Forrester.” We can see the emotions from so many of you around the world that sincerely miss Ronn as that character he played so well for so long. He was part of your family and you miss him dearly and this is why he will always be “Ridge” to so many of you around the world. However, Brad Bell made the choice of recasting Ridge and he now wants you to accept this. Because of this change, and the fact that Ronn has moved back to music and other challenges like his role on our multiple Emmy winning Amazon series, “The Bay” as John Blackwell, it’s become obvious that Bell does not even want Ronn in photos with Katherine Kelly Lang. 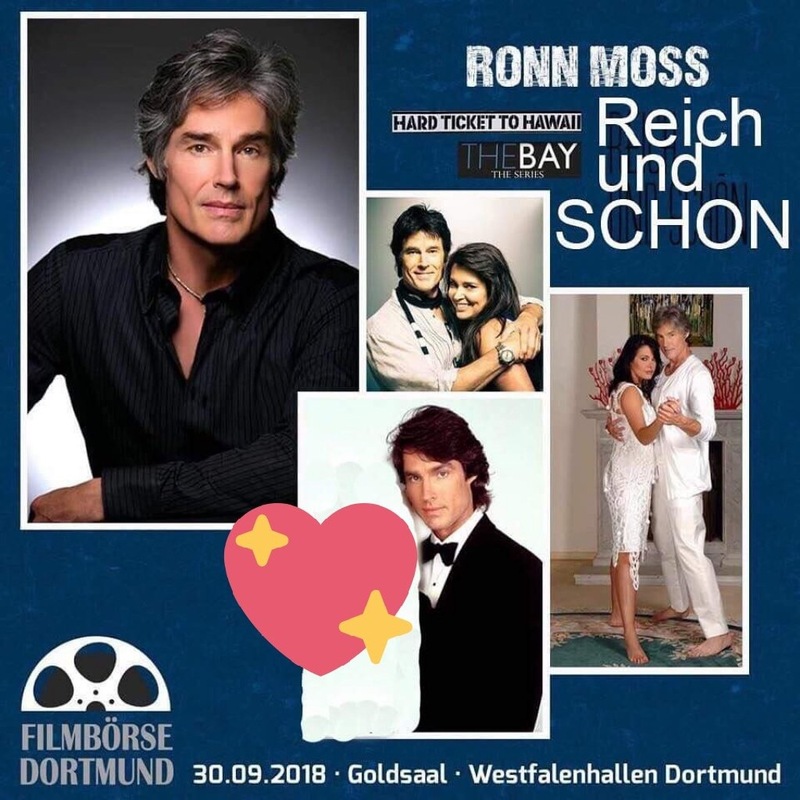 Many of you have been asking why Ronn took out Kelly in the photo advertising his first personal appearance in Germany, so I felt that it should be addressed. He did that because Kelly was upset over it, which really made no sense to us? It’s nearly impossible to think of “The Bold and The Beautiful” for millions of fans in so many countries and not think of Ronn with Kelly? It’s also rightfully part of his resume’ and will always be a huge credit for him and it’s the way many of you still think of him. We have discovered that Belgium and Holland are binge watching ‘The Bold and the Beautiful” from the beginning because you miss Ronn so much and many of you have personally told us how much you dislike the current show. I understand the fantasy of wanting to see him back in that role, but it’s quite obvious that Bell has made a choice and that’s the way it is and will remain. 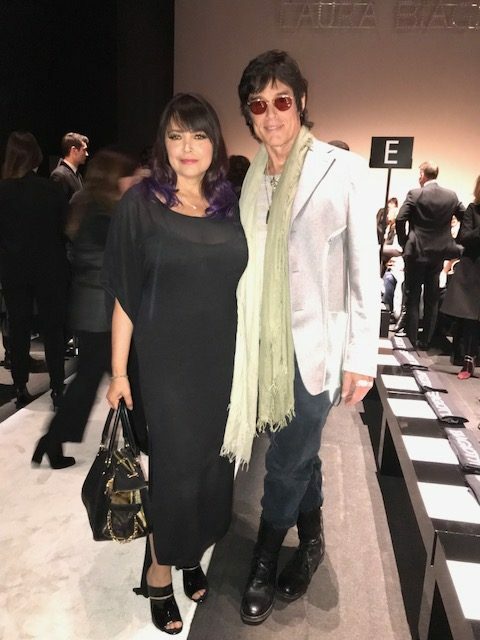 He seems to want to now erase the memory of Ronn from the canvas and wants you to accept seeing Kelly with this new Ridge and we believe this is why Kelly was asked to say something to Ronn about this photo. Its pretty near impossible to erase 25 years of memories for millions of people and the petty ego of someone to dictate something like this is pretty disgusting not to mention impossible. Can you imagine having every co-star you have done movies or television scenes with asking you to not use their photo to promote yourself in a personal appearance? Actors have credits from a body of work that they have done in film and television and it is from these credits that promoters take photos and videos to promote them. 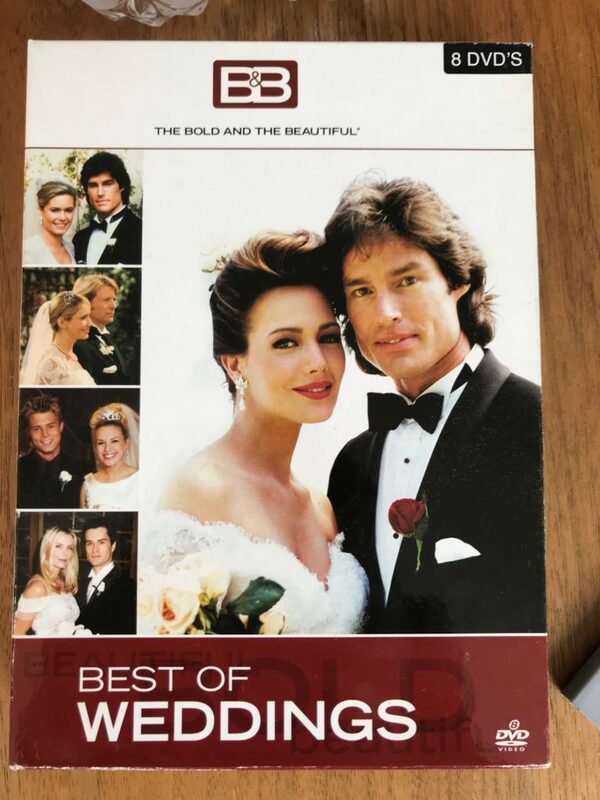 “The Bold and the Beautiful” seem to have no problem using Ronn for their benefit like that have obviously been doing with the use of these videos on DVD, but it’s going to be nearly impossible to erase the thousands of photos and videos of Ronn as Ridge Forrester that’s on the Internet and in the minds of so many fans around the world. Ronn did not make this promo for this upcoming German appearance, the promoter of that event did, but Kelly said she didn’t like it, so Ronn took her out of the promo as quickly as he could and vowed to never let that happen again. She claimed it wasn’t personal and that she should have been asked, but we suspect this was directly coming from Brad Bell. I’ve always been honest about my feelings regard him and how they treated Ronn and this is why I’m addressing it again now. This was truly the most petty uncalled for request and simply sad to hear coming from Kelly herself. Ronn did take it personally, how could he not? He worked nearly half his life on that show, did countless photos and content for it and they want to now dictate whether a photo is used in a meet and greet promo can be used by a promoter who does nothing but these kinds of things for hundreds of film and television stars? I’ll just let you guys talk about how you feel about that one! Personally I think karma is setting in big time here and what goes up must also come down and soon the world can decide for itself on both of these challenges from Ronn’s past. We all make choices in life that take us on journeys and carves the roads that marks the path in our lives. Our choice is to move forward with the wonderful new path we have carved for our lives and continue to be happy and healthy in our minds, bodies and spirits. Our choice is to be positive in spite of the challenges and to stay focused on all the wonderful new opportunities we have in front of us. Our choice is to set the past free and move into the future with the hope that we can all learn to love and support each other. I am actually looking forward now to these next couple of months in Europe and I hope to meet many of you along our journey!